Super steal...Priced UNDER market value for quick sale! 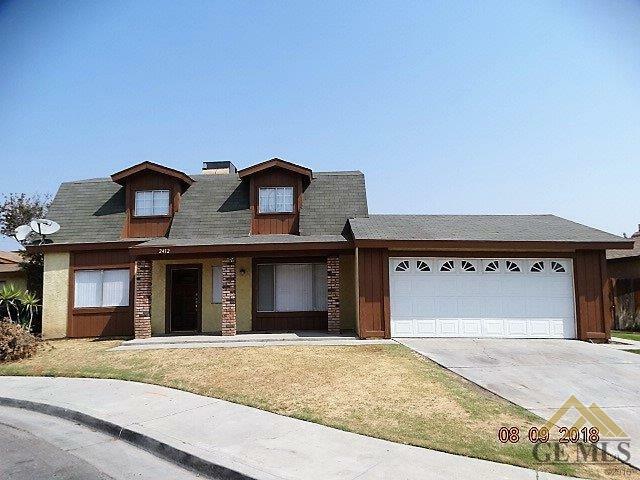 Beautiful 4 bedroom 2 bath 2-story home with nearly 1700 square feet and move-in ready. This gorgeous home is located on the end of a private low-traffic cul-de-sac with a 2-car garage and near Hwy 99 for quick commute. Features include Central Heat and air condition (the AC unit is only 1 year old), Great Comp roof, fireplace in family room, Breakfast bar, stainless steel sink, brand new roll up 2 car garage door with opener, loads of kitchen cabinetry, large back yard, brick and concrete rear patio area, ceiling fans, Tile floors, 2 bedrooms upstairs with master and extra bedroom downstairs, sliding glass doors from master bedroom to patio, garden window in kitchen and so much more. You'd expect to pay much much more. Homes like this sell quickly, see it immediately! Only minutes to the Mall! Elementary School: Kendrick, W. A. Middle School: Ollivier, L. H.